It’s impossible to answer the thousands of emails that we get each day on this blog, so on our day off, we thought that we would take a stab at some of your most frequently asked questions. Yes, Al, there are two dogs riding cross-country in vehicles, not on bikes. Everybody say “awwwww” at the same time. 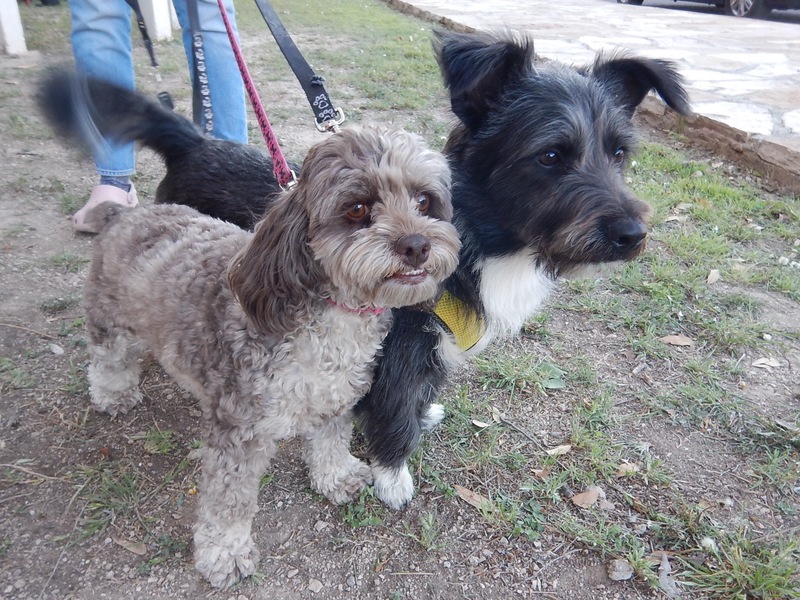 On the left is Cocoa Bean, who belongs to logistics manager Snowflake, and on the right is Bubba’s dog Buddy. Both are noisy, but very sweet. Actually, what we need here is millions of tons of asphalt. 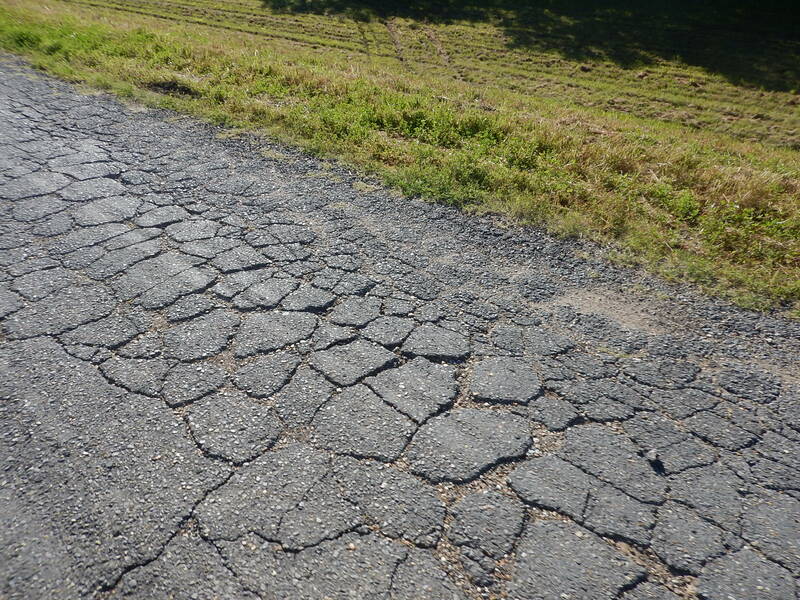 These roads make us pine for the chip seal in Texas. Here’s some shots from a recent lunch. 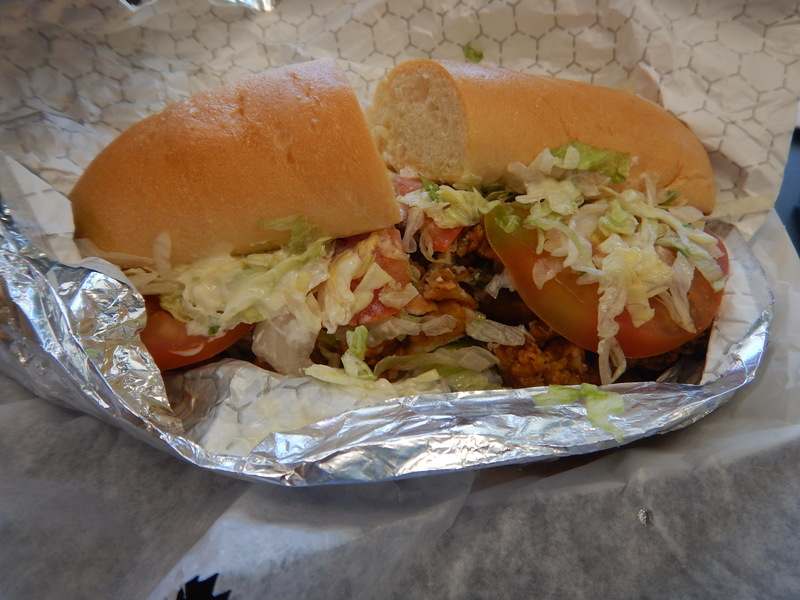 First, the oyster po’ boy. It was full of plump, juicy oysters. Next, some jambalaya and a boudin ball. What’s a boudin ball? 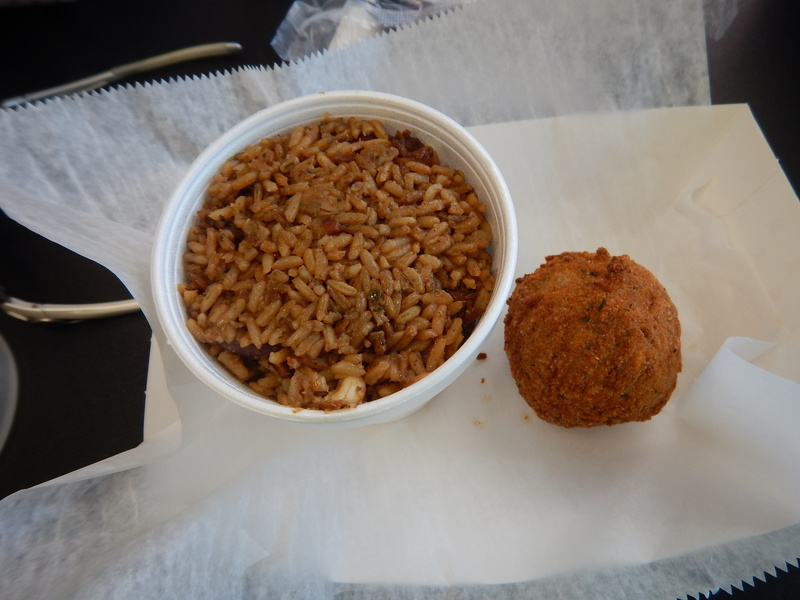 It’s rice and pork rolled into a ball and fried, because all Cajun food is better when you fry it. Anybody know what the heck this thing does? Leave a comment below if you do. It’s so tall that we actually could have ridden under it. We came across this alligator today. It was fried and Cajun spiced, the only way to see gator. 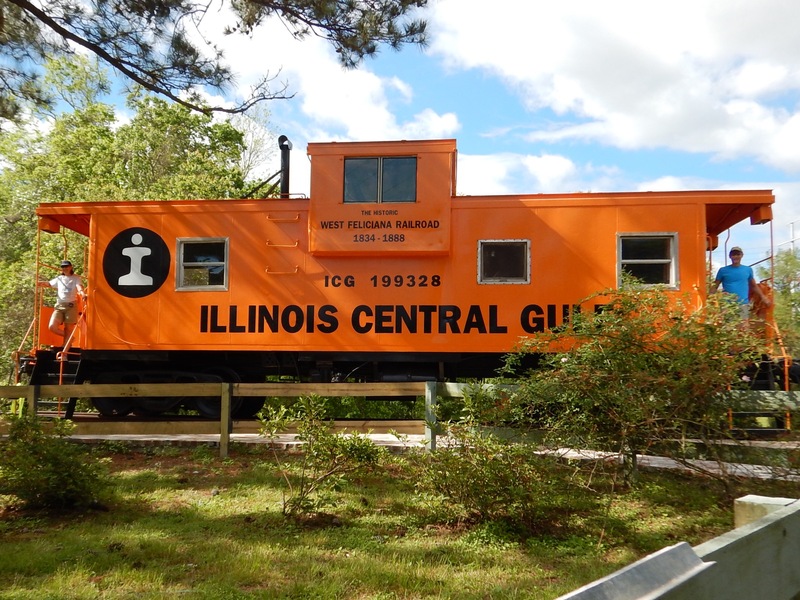 How about this orange caboose? Most of the towns on our journey are only here because of the railroad, except for where we are here in St. Francisville, which exists because it was a port on the Mississippi. 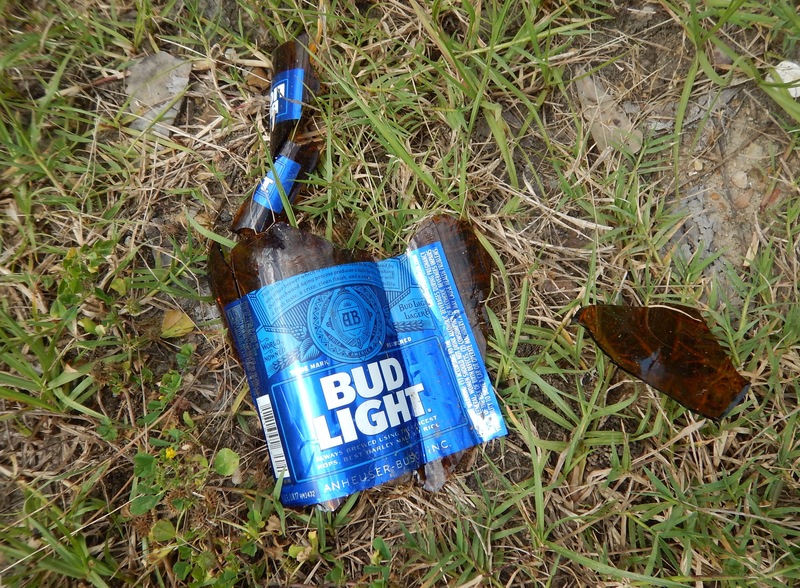 Bud Light by a landslide! We are back on the bike tomorrow for our final full day in Louisiana. Join us for another 80+ mile day! My guess on the farm equipment is a crop sprayer for putting down insecticide and / or fertilizer. Anyone else want to guess? That thing is a field sprayer and folds out up to 80 feet can spray a field in just a few hours . tall so it to go over crops already growing. like corn we see them here all the time. 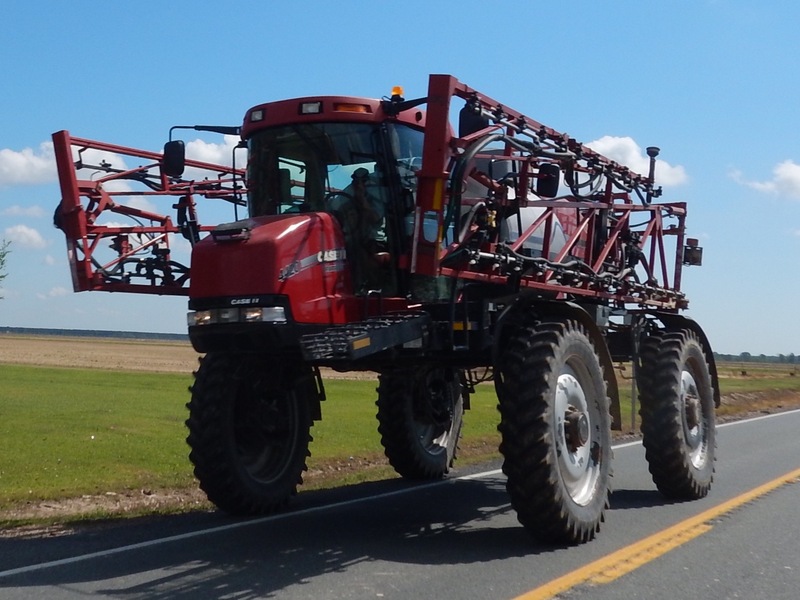 Could be a Case 4440 Patriot Series Sprayer – but I’m just guessing. Googled talk wheel farm machinery sprayer and……..we have a match! Thanks Mark Weaver for the sprayer word. That clinched it.